So there are a couple of tricks you can try to get into your box such as downloading the Offline NT Password Editor and completely blowing away your password. 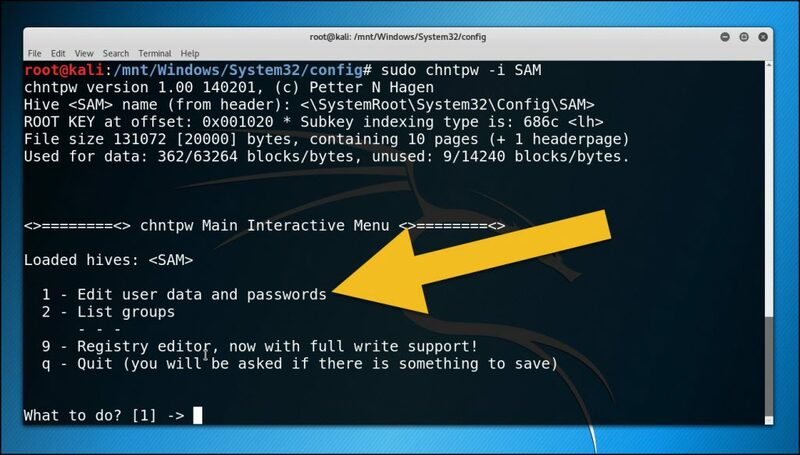 As long as you have a valid local account on your computer, you can zap the existing password (even if you don’t know the old one) and start over without reformatting your box. You could also try cracking your password but that’s not very effective. 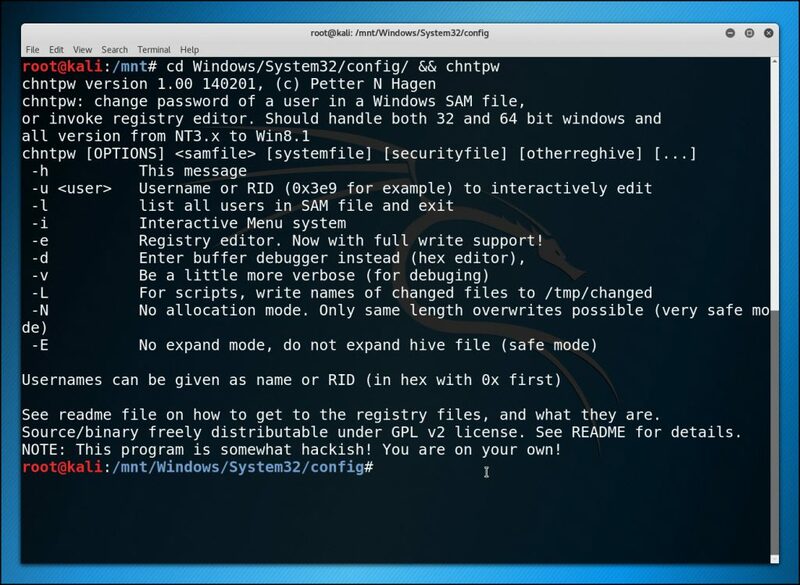 The most reliable fix is to create a Live Linux USB drive from a friends computer and then plug that thing in your computer so can boot to that. 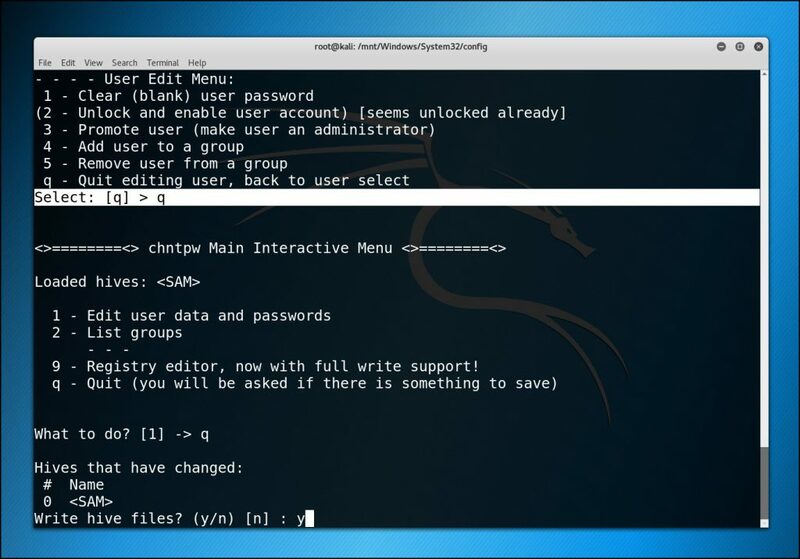 In this guide, we’re going to use Kali Linux to pull this off but you could actually use any version of Linux. 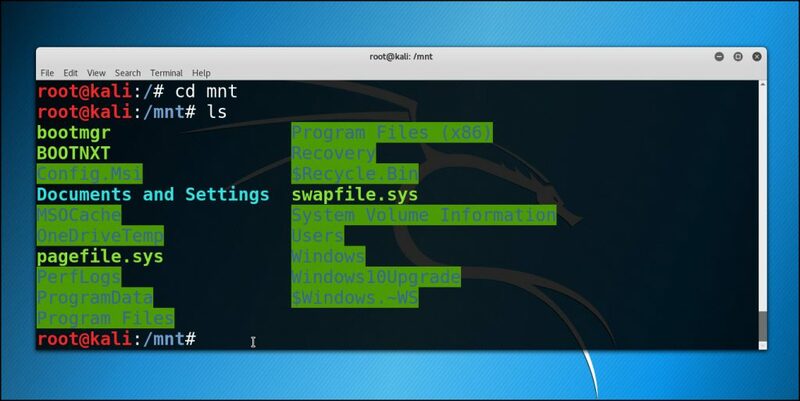 For example, many people use Ubuntu to do this but I prefer Kali. 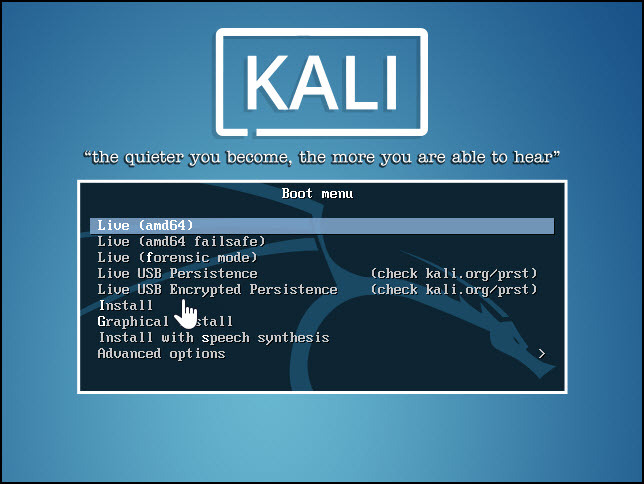 Alright, the first thing we need to do is grab the Kali Linux ISO. 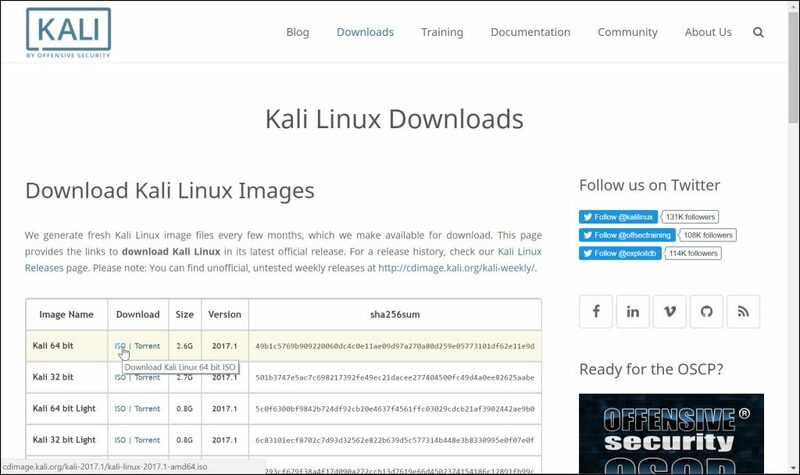 Simply go to the Kali Linux downloads page, click the ISO and let it download. It doesn’t matter if you grab the 64 or 32 bit versions, but I prefer 64 bit because it runs slightly faster on machines that have more than 4 GB of RAM. 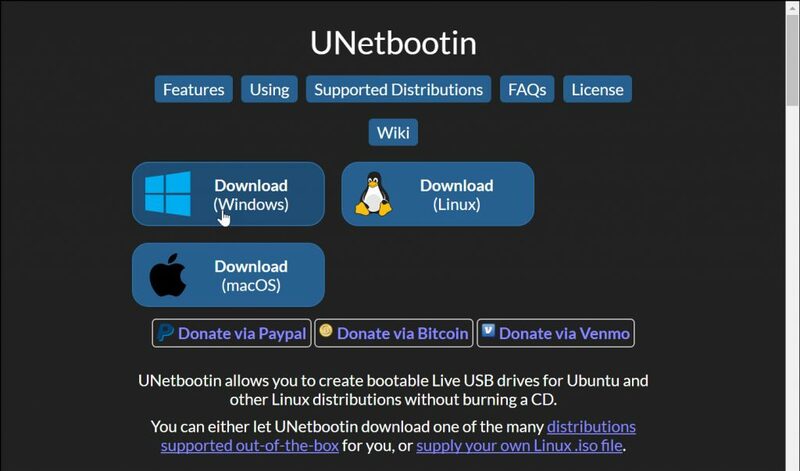 UNetbootin is a free Windows program that lets you create live USB drives for various Linux distributions. 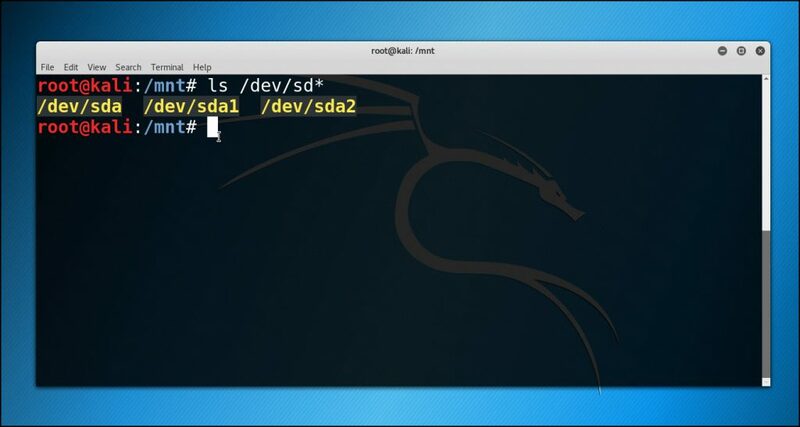 We want to pick Diskimage at the bottom of the application because the Kali Linux distribution isn’t included in the Distribution drop down box in UNetbootin. So click the Diskimage radio button, make sure ISO is selected and then click the little button with the three horizontal dots to browse to the Kali Linux distribution you just downloaded. 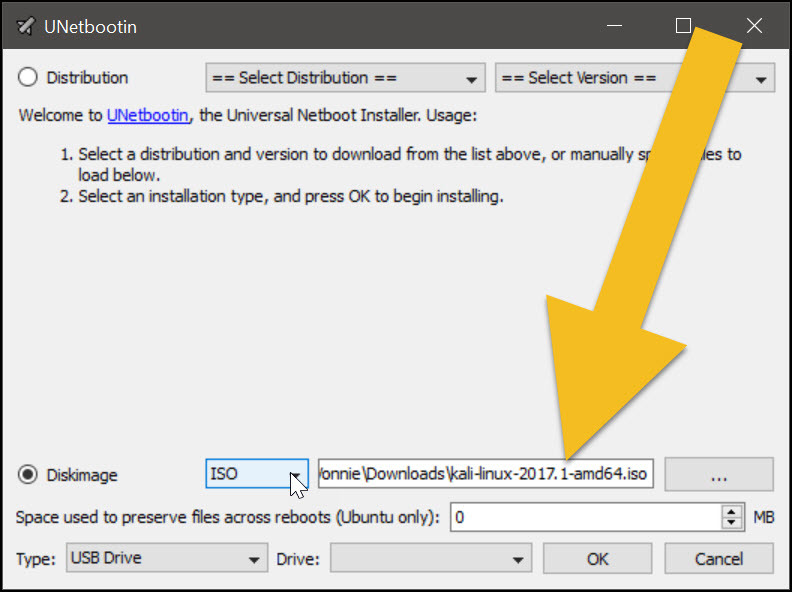 Now plug in your USB drive, make sure the Type at the bottom says of UNetbootin is set to: USB Drive, select your Drive and then click OK to format and create the Live USB. As long as you have at least 4GB of space on the drive you should be okay. When the Live USB process is completed you should see all the files on your USB drive. It shouldn’t take longer than a few minutes to create the media. Okay, so now we’re looking good. Now we need to boot from this thing. The easiest and most reliable way to boot to a USB drive on a PC is to hit reboot the box and then start hitting F12 like crazy. Another way to boot from the USB drive is to press Del, Esc, F1 or F2 repeatedly during bootup so you can get into the BIOS or UEFI screen. From here you should be able to choose the Boot order. 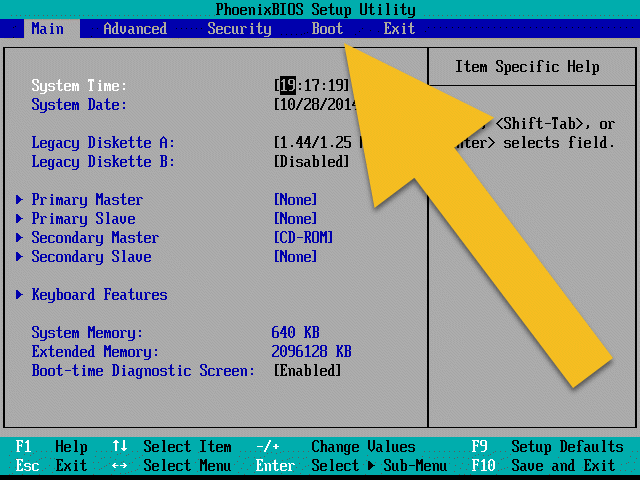 Which key you press to enter your BIOS/UEFI screen depends on your computer manufacturer that’s why I listed so many options. 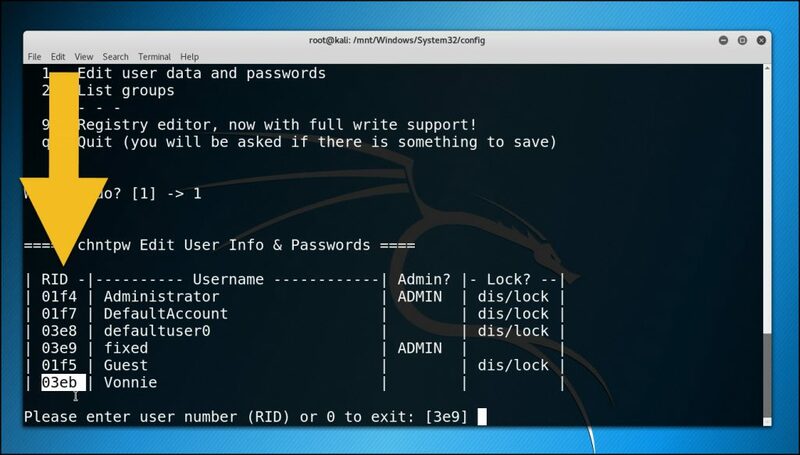 Alrighty, now we need to mount your Windows drive into the Kali Linux environment so we can access the files there. 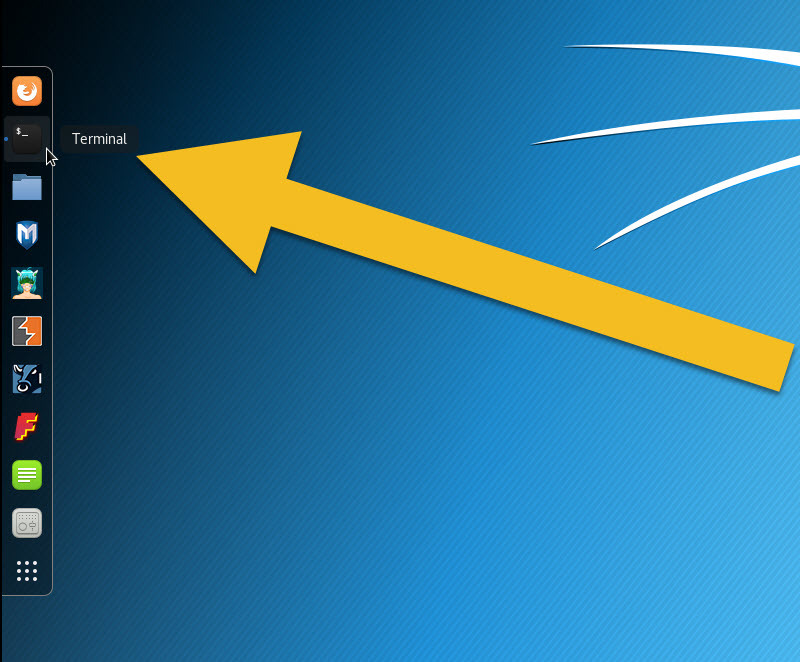 Pop open the terminal – this is basically the Linux version of a Windows command prompt. 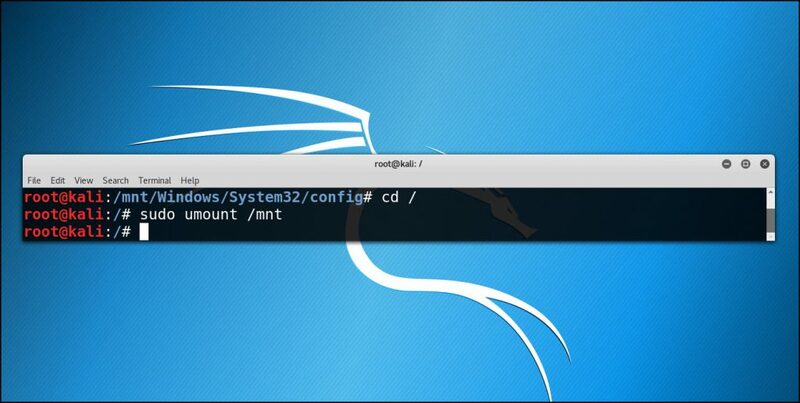 Now we need to create a mount point so we can mount the Windows partition to our Linux environment. 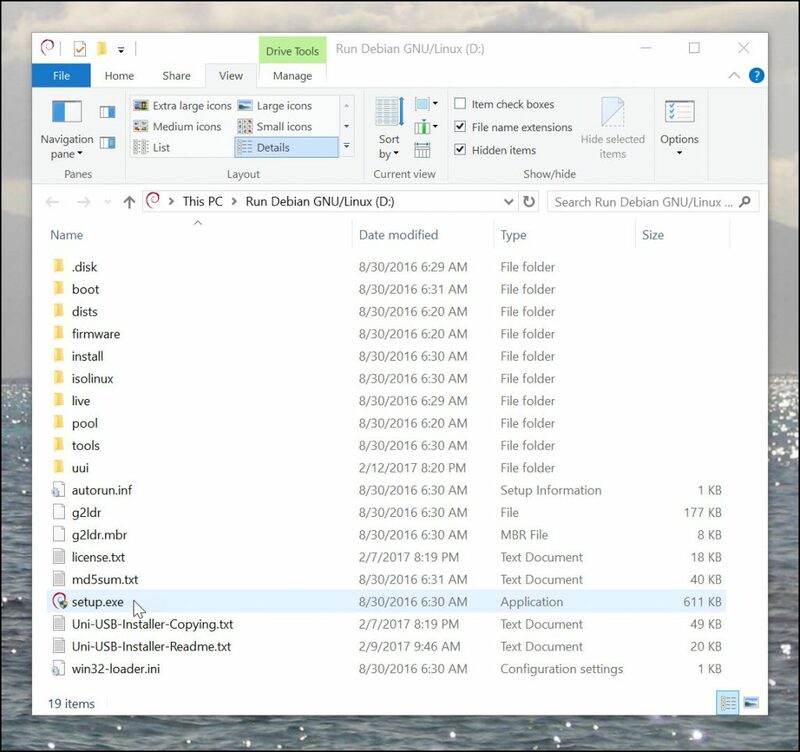 We need to look for our Windows partition. All Linux devices are located in a folder called /dev. You might be thinking like – how is this possible? This is because in Linux everything is a file - including physical devices. So your DVD-ROM is represented as a file and your entire hard drive is represented as a file too. So what we need to do is to find all our hard drives which typically live in /dev/sda. The /dev/sda1 and /dev/sda2 files you see in the screenshot below are actually partitions on the hard drive /dev/sda. Alright, so we mounted both partitions into a folder called /mnt/ in Linux. Now let’s take a look inside. Let’s run the interactive Menu system by pressing the -i switch in that long list of options and we want to do it against the SAM file. Awesome – so press 1 and hit enter to Edit user data and passwords. Then enter the hex code next to the user you wish to change the password for. It’s under the RID column. Just copy and paste it and press Enter. Then press 1 to clear (blank) the user password out. Hit enter and that should do the trick. If so, you’re on the home stretch baby. Press q to quit the chntpw interactive screen, hit q again and then hit y to write the changes to the hive files. 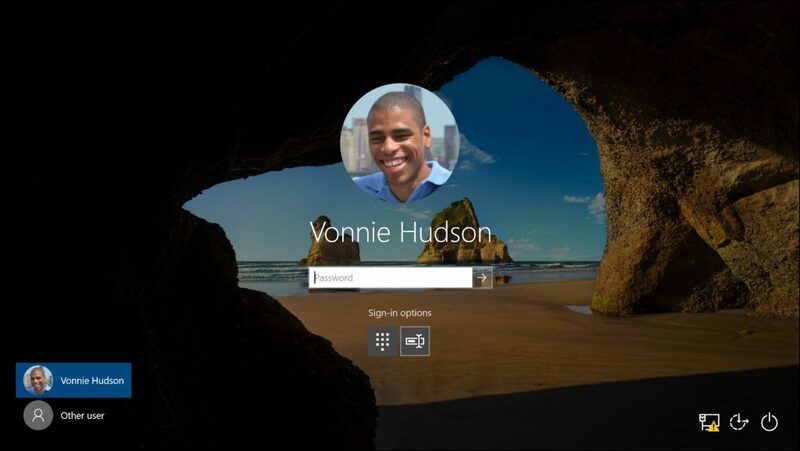 Now reboot and you should be able to login to your Windows box without a password. 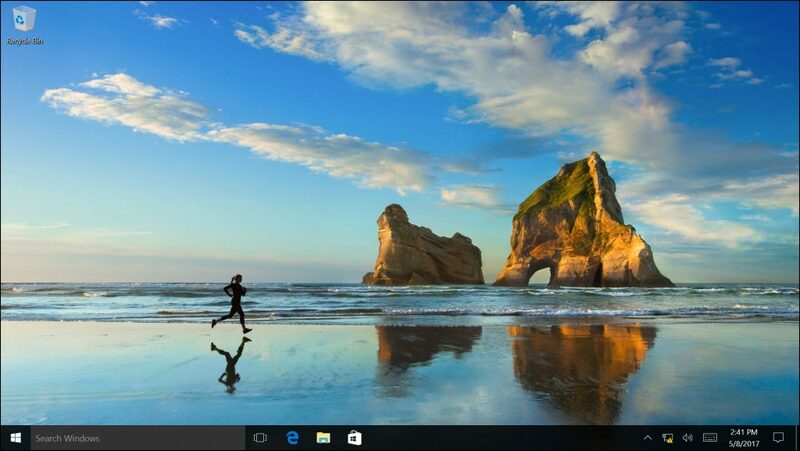 Alright so there you have it – I just logged into my Windows 10 box even though I completely forgot the password. Then we installed UNetbootin so we could create a bootable Kali distro. 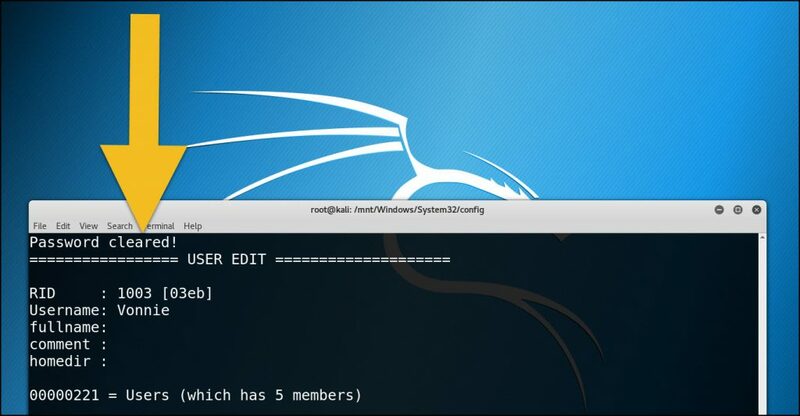 We pointed UNetbootin to the Kali ISO, booted from the USB stick into Kali, mounted the Windows share, ran chntpw and then rebooted the box and logged in! Great trick! 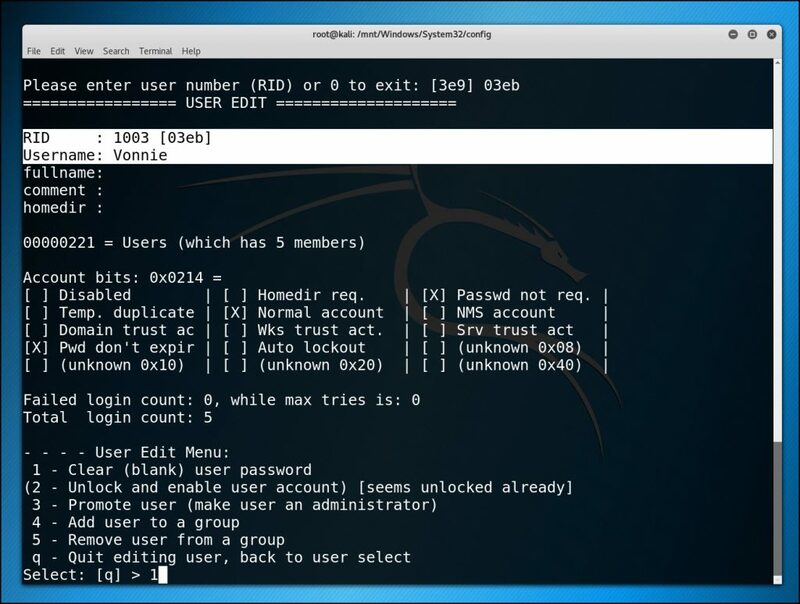 I also came across another trick – sticky keys method, and it also worked great and you can do a password reset using windows installation disk.I’ll test your trick on my computer when I have time. Thanks! That’s great! Could this cause an issue though with encrypted files linked to this user account?